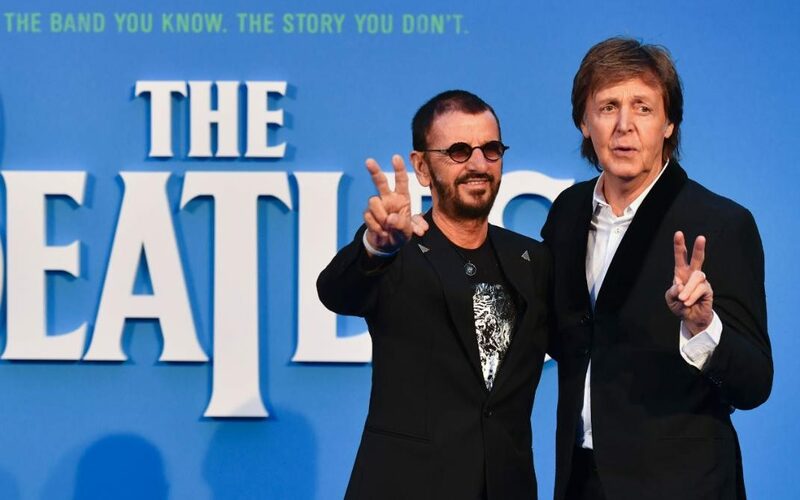 The Beatles' film of 2016, Eight Days a Week: The Touring Years is now out on DVD and Blu-Ray with a special edition that includes a second disc with over 100 minutes of bonus footage. I watched the bonus disc this afternoon and I am going to review each section and let you know what I thought of them because some parts were much better than others. Words & Music: This was all about the Beatles' writing and recording of songs until Revolver (1966). It was good because of the new interviews with Paul and Ringo. Paul talked about how he didn't want to play the bass at first, but John wasn't going to do it because he was a powehouse rhythm guitar player. But then Paul heard some American bass players and realized that the bass wasn't so bad. Ringo talked about how he never wanted to do fancy drum fills because of the focus on the singer and how he worked with the singer to make the song better. Nice interviews---nothing new. They also interviewed Peter Asher that talks about Lennon-McCartney writing songs for him and Gordon. And then there was long interviews with some guy named Howard Goodall. From what I understand, he is some BBC guy, but I have never heard of him and his parts were boring and rambling. This part of the disc would have been so much better without that guy. Early clues to a new direction: Hands down the worst part of the disc. It was to talk about the Beatles' roots in Liverpool and how from their beginning grew to the mania where young girls and even boys loved them because not only their music but their humor. Nice idea, but the interview people I never heard of! Various historians and authors that I have no clue who they are. Did these people write books about the Beatles? I don't think so. There are so many great Beatles historians out there that should have been interviewed instead. And how come they didn't talk to any female authors or historians. It would have been nice to hear a female voice when you are talking about the effect of the Beatles on girls. Sure they talked to Sougorny Weaver and Whoopi, but those girls only know of their personal experiences. There are female Beatles historians. The worst quote was "the girls were not only screaming for the Beatles, but also for themselves." The Beatles Live: This is one of the best parts. Apple could put out a DVD of all live Beatles performances and that would be awesome. There are five songs included from 1963-1965. There's a good mixture of Paul and John songs (no George or Ringo). I really liked the Manchester 1963 performances. It is really awesome to see the boys from 1963 in glorious true color. My only complaint was the the 1965 Blackpool performance of Help! (which was in fake color, but I can overlook that) wasn't the performance version. We all have the Anthology and know that John messes up the words. It is part of the charm of that performance. Why use a different track? Liverpool: Now THIS is how these interviews should be! They went down into the Cavern Club and interviewed amazing people from the Cavern days from Liverpool. Freda Kelly, Allan Williams (which they used captions for, which I didn't think was needed), Bill Harry, etc etc. Ronnie Spector: I am not really sure why she was included. She said that she took the Beatles to Harlem when they were in New York in Feb. 1964. Never heard that before. When did that happen? Did that happen? Shooting a Hard Day's Night: This should have been part of the Hard Day's Night re-release and not included here. Nice interview with people involved in the film. Just seemed out of place. The Beatles in Australia: Again--nothing new here. Recollections of Shea Stadium: This was fun. It was Tony Bennett's son talking about going to see the Beatles in 1965 at Shea Stadium. He had a good story of getting kicked out of the Beatles locker room. Showed a snippet of silent footage he took of the concert. Only thing that bothered me was that he kept saying that the Beatles had just released "A Hard Day's Night" and that they came out in their "Hard Day's Night" suits. The Beatles in Japan: This was included in the film when it was shown in Japan. It should have just been included in the film in general. They interviewed the photographer that was with the guys in Japan and showed various common footage. It was nice to have the Japan shows represented. I would have been better to hear from one of the fans and see how she got into the Beatles and what she remembers of the concert. An Alternate opening: Glad they didn't use it. Overall I would say that the extra disc is alright. I think I like the film better. There were some nice moments, but I am not sure if it was worth spending the extra money on it. Wasn't Ronnie Specter the adorable girl in Murray the K's studio in the Maysles Bros film of The Beatles' 1st U.S. visit? the one who can dance great even though she's sat down?